The jazz club entry on Wells Street leads to a truncated conic entry vestibule with a copper door. 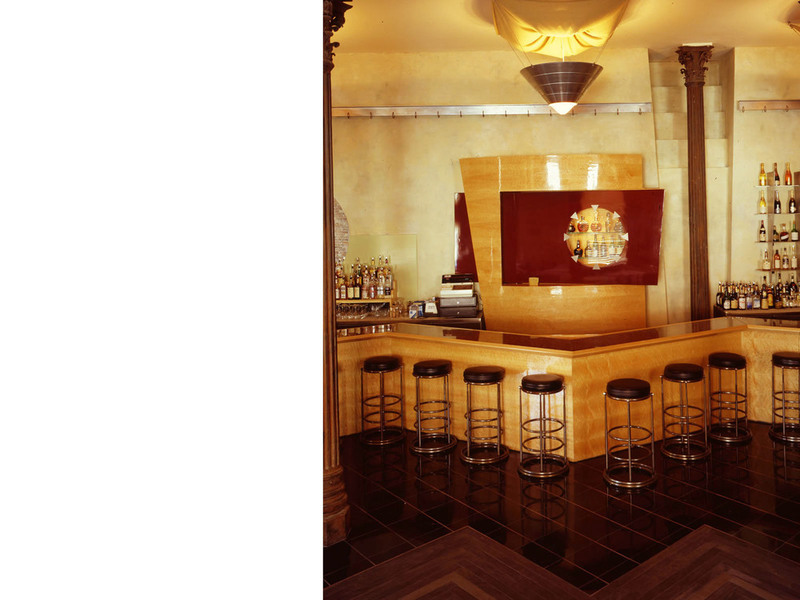 A long bar inspired by the ancient Egyptian hieroglyph for liquid zig zags between cast iron columns on the south side of the room. The north side of the room is filled with raw steel café chairs focused on a spiraling conic plaster band shell with a fissured surface like the cracked mud of the Sahara. The dance club entry is from the west side courtyard. 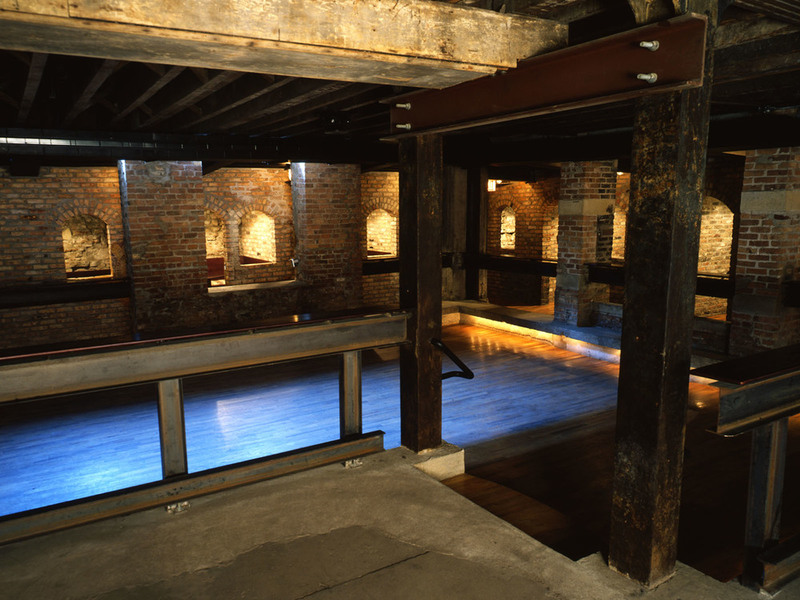 To enlarge the cellar dance-club, vaults under the sidewalk of the corner building were leased and then restructured to create a series of private rooms overlooking the dance floor from the periphery. The design allowed the separate operations of the ground floor jazz bar/cafe and the underground dance club. The dance floor was conceived of as an archeological excavation; layered, sunken, bounded by raw steel. 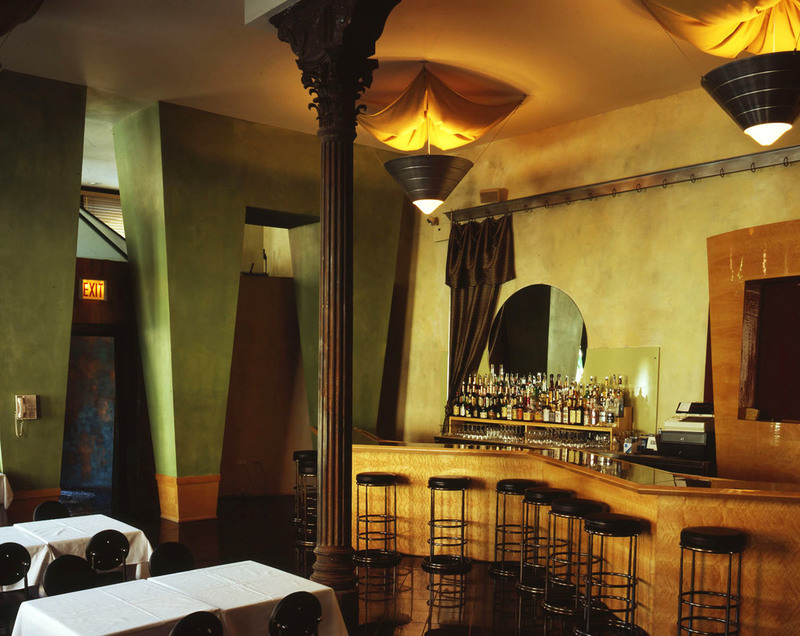 Overlooking the dance floor is a collection of brick-walled private-rooms, which were once under-sidewalk vaults. Light fixtures of blown glass reflect light off of linen textiles inspired by improvised awnings employed in Cairo street markets.